Bodegas MAURO is located in the Duero river valley at Tudela, a few miles to the south of the city of Valladolid. Because of this location, and the presence of a few old Grenache vines, Mauro does not benefit from the Ribera del Duero control of origin; however, it has created its own reputation due to its fantastic quality. Mauro was created in the 1970's by Luciano Suarez, an architect specialised in the restoration of medieval monuments, and Felix Choque, cousin of Mariano Garcia, the former winemaker at Vega Sicilia. Their objective: to rival the best of Spain. Their vineyards cover 30 hectares with 90% Tempranillo, 5% Grenache, and 5% Syrah. Many of the vines are 60 years old and more. Vinification and ageing is in the classic French manner with maturation in new or 1 year old French and American oak casks. Further ageing takes place in the bottle before release for at least three years; all this occurs under the watchful eye of Mariano Garcia and his sons. The style is classic Ribera del Duero with a dark rich colour, a gorgeous bouquet showing great class, and a perfect balance between the oak and rich black fruit. 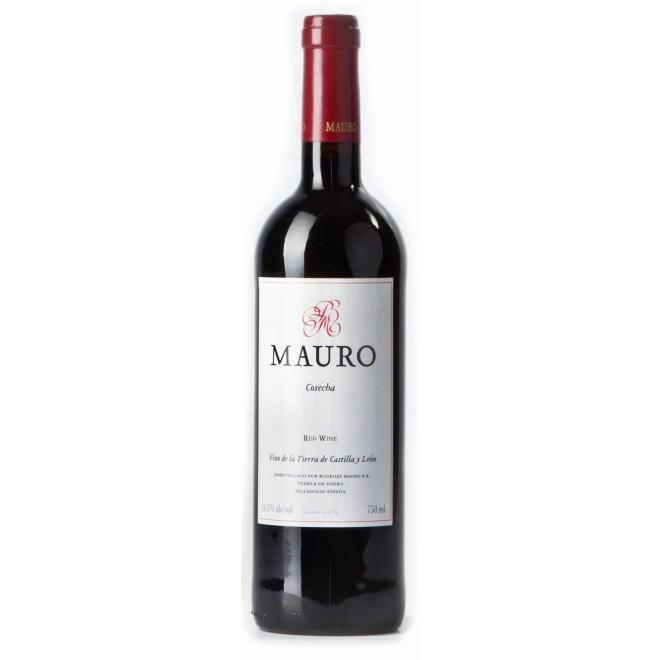 On the palate Mauro has a smooth style, silky texture and the distinction to rival a great Bordeaux Classified Growth. Only about 90.000 bottles have been created. Demand is so strong that each vintage is usually sold out within 3 months of release. The bodega has recently purchased vineyards in nearby Toro. The first vintage was the superb 1997. Mauro Crianza was bottled after 15 months of ageing in French and American barrels. Excellent for drinking or saving. Tasting Notes Aromas of cherries, cassis, and violets. Smooth, balanced flavour, with juicy tannins.